You may not know the name Bert Lahr, but you know his most beloved role: the Cowardly Lion in The Wizard of Oz. 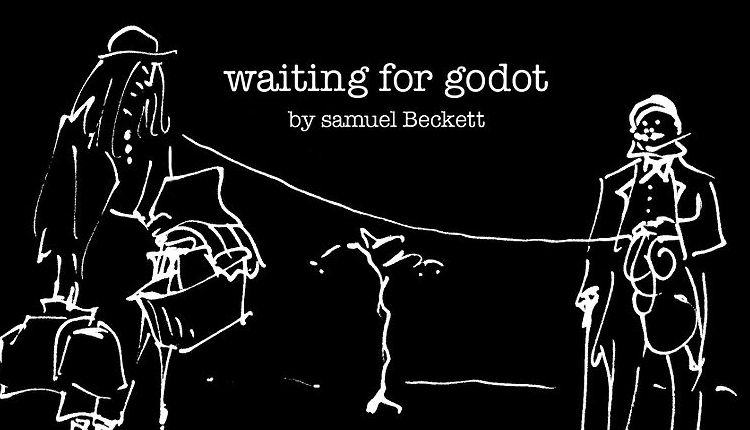 And while you may not have an intimate familiarity with Waiting for Godot, either Samuel Beckett's script or any of the countless subtle variations in its productions on stage, you certainly know that it has challenged many an actor looking to shore up his avant-garde credentials. Lahr turns out to have stood at the vanguard of this phenomenon in America: seventeen years after his success in Oz but well before word of Godot had spread far beyond Europe, he played Estragon at Miami's Coconut Grove Playhouse. It billed this piece of minimalist existentialism as "the laugh sensation of two continents” — a bit of absurdity itself somehow actually worthy of Beckett. "The play was not so much a laugh riot as a revolution in theatrical storytelling; inevitably, it was met with militant incomprehension," writes Lahr's son, New Yorker drama critic John Lahr. "On opening night, half the audience walked out after the first act; the next day, there was a line at the box office—to return tickets." He remembers his father's struggle with the next, "the curious contradiction between his colossal insecurity about the meaning of the words that he struggled to learn and his adamant conviction of the emotional truth of the comedy contained in those perplexing words." He also remembers what came after that disastrous Miami premiere: "the thrill of the re-staged Broadway production later that year, and Dad’s profound satisfaction at his succès d’estime in New York." You can hear a recording of this triumphant version of the Lahr-starring Godot, with television star E.G. Marshall as Vladimir and famed Viennese theater director Herbert Berghof at the helm) on Spotify. If you don't have Spotify's free software, you can download it here, or you can listen to the play at the Internet Archive. (It's also streamable above.) "The 1956 production of Godot was Mr. Lahr's show all the way," writes Terry Teachout, listening again to the recording, "and to hear it now is to boggle at his seemingly infinite comic resourcefulness. He whines, he whimpers, he chortles, he grunts, giving each line precisely the right flavor. Yet never for a moment does his clowning conceal the play's underlying pathos, and whenever he opens his mouth, it's always Beckett, not Bert Lahr, that you hear." This recording will be added to our collection, 1,000 Free Audio Books: Download Great Books for Free. The author of Zamboni Godot – premiering in NYC in March 2017 – begs to draw your attention to The Underpants Godot, opening in NYC later this week. This play inspires greatness!